As we tend to overeat processed or fried foods, we expose ourselves to the risk of environmental pollutants/stress that our livers begin to become overloaded or overworked. When your liver begins to fail this means that your body cannot process toxins or fat in an efficient way. This article is aimed to help you identify certain healthy foods that can help clean out your liver rather than pour anymore deadly toxins into it. 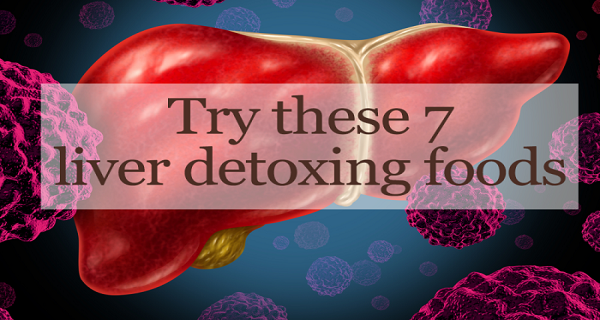 These seven liver cleansing foods will have your body back to normal in no time! Apples – Apples has the necessary chemical constituents that are vital to the body for they cleanse and release toxins from within the digestive tract. This makes it easier on your liver to handle the toxic load during this process. Avocados – Dense with nutrients, avocados help the body to produce glutathione, a key component that is used for the liver to cleanse harmful toxins. Leafy Greens – These are perfect for cleansing your liver. Raw, cooked, or juice, they are extremely high in plant chlorophyll, detoxifies environmental toxins from the blood stream and neutralize chemicals, pesticides, heavy metals, and much more. Green Tea – Green tea is the perfect beverage for cleansing the liver. Full of antioxidants known as catechins, this compound has been known to assist liver functionality. Green tea is an also wonderful way to increase the potency of your overall diet. Carrots & Beets – These are both really high in plant-flavonoids and beta-carotene. Essentially, eating carrots and beets can help stimulate the overall effectiveness of your liver functionality. Grapefruit – Contains vitamin C and antioxidants, grapefruit is used to increase the natural cleansing procedure of the liver. Garlic – Garlic is potent enough to activate the enzymes in your liver to help flush any unwanted toxins out. Garlic is also high in selenium and allicin which are two awesome natural compounds that also help cleanse the liver. Hopefully, this provided you with a beginners look into identifying healthy foods to help cleanse your liver.